Learning online cash game poker is traditionally done through trial and error and by reading a hodgepodge of poker books, articles, and forums. Your average person will burn through a sizable amount of money in their attempt to become a winning player. A few will succeed, but the vast majority will fail. Automatic Poker takes a different approach by allowing inquisitive players to avoid the pitfalls of complicated deep stacked poker while learning. 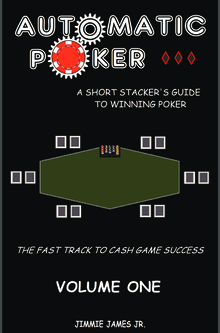 Within these pages you will find all the information required to build a strong and repeatable poker game. 1. Key fundamental poker concepts necessary for winning poker. 2. A chart-based core short-stacking strategy from which to grow. 3. A profitable and easily repeatable 3-bet shoving strategy. 4. Setting up a Heads-Up-Display (HUD) and forming laser-like reads on the competition. 5. A sound pre-flop and post-flop strategy that seeks to maximize profit in every situation. 6. 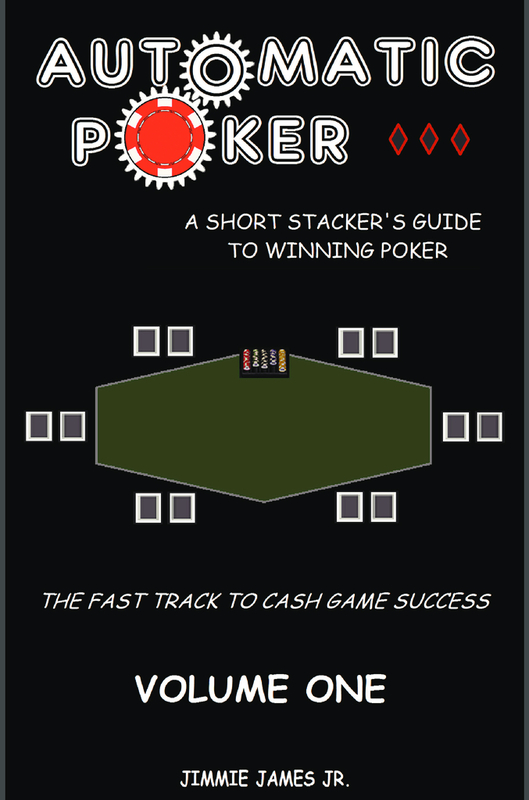 Managing your poker career through optimized sessions and sound bankroll management. 7. Dealing with downswings and variance. 8. Developing a strong mental game. Whatever your ultimate goal is as a player, Automatic Poker provides a springboard to rapid success in all forms of poker.